Paul Bridgewater (New York) Founded the Hard Art Gallery in Washington, D.C. in 1973 and has curated over 450 exhibitions including: Spark of Genius for General Electric Research, Temples of the Yoruba, photographs by Phyllis Galembo, The Schoenburg Center, Rockefeller Foundation, NYC and Paint By Number at The Smithsonian Institution, Washington, D.C. Bridgewater opened Bridgewater/Lustberg Gallery, Soho, NY, in 1987 privately dealing art until the opening of Smart Clothes Gallery, Lower East Side, N.Y. last year. In October 2017, an oil painting by Bridgewater will be featured in a Museum of Modern Art exhibition in NY. Khodr Cherri (Los Angeles) is the master printer and the Creative Director of A&I Fine Art & Photography. He works with artists to create unique, museum quality Chromogenic and Archival Pigment prints. A graduate of the American University in Beirut, Cherri began his photography career as a film technician and an Art Center student in Los Angeles. As production manager at Nardulli lab, he collaborated with Herb Ritts, Helmut Newton, Matthew Rolston and Norman Jean Roy. Cherri has worked with photo editors at Time, Vogue and National Geographic Magazines. Francis Coiro (Los Angeles) directs the Iconix Art Group, an art publishing and creative services company which he also founded in 2014. Iconix operates a boutique art complex in downtown Los Angeles that includes the Fathom Gallery, which represents nearly three dozen contemporary photographers and painters. As part of Iconix, Coiro started two classical imprints, Sugar Press, an art printing partnership specializing in emerging artists, and Lumen Press, a new art venture, publishing limited edition photography monographs. Coiro will oversee the printing of the winners of the competition. Bert Green (Chicago) is the owner of Bert Green Fine Art, a contemporary art gallery exhibiting prominent, emerging and mid-career artists. Based in California for 21 years before moving to Chicago in 2012, Bert Green Fine Art was instrumental in creating the emergence of the downtown Los Angeles gallery district. Green curated the first LGBTQ-themed, City of West Hollywood’s yearly, Out There, exhibition at The Los Angeles Art Association’s G825. His Chicago gallery continues to work closely with artists in Los Angeles to augment his roster of international painters and photographers. Sarah Lee (Los Angeles) Longtime gallerist, art and photography curator, critic and art consultant, Sarah Lee was born in Seoul, South Korea. Most recently, she was owner and director of Sarah Lee Artworks and Projects a photography gallery at Bergamot Station. In addition to being an advisory member of the Queensland Centre for Photography in Australia, Sarah Lee has served as trustee, Executive Director and guest curator at the Korean American Museum in Los Angeles. She has been on the Japan-American National Museum’s advisory council since 1995. Phil Tarley (Los Angeles) is a fellow of The American Film Institute, a member of the photographic Arts Council and an artist member of The Los Angeles Art Association. Tarley, a critic, a curator and a collector, writes about photography for Fabrik Magazine. His series of political and ethnographic videos is housed in the permanent collection of the New York Public Library and has screened in film festivals and museums like the American Film Institute and the Solomon R. Guggenheim Museum. Tarley’s writing and photography have also appeared in the LA Times, the LA Weekly, the Advocate, Adult Video News and American Photo Magazines. This Call for Entries is open to all photographers of all backgrounds — professional, non-professional/amateur, student, and mobile photography who shoot street photography. Click here to enter your photos to the competition. 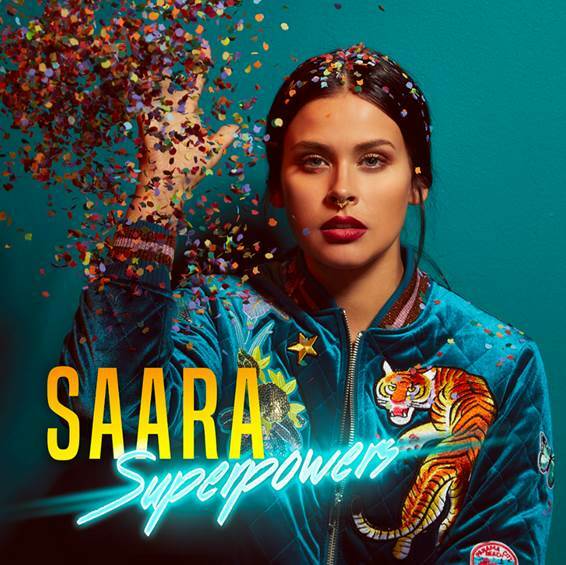 SAARA'S NEW SINGLE "SUPERPOWERS" OUT TODAY! NEW SINGLE “SUPERPOWERS” OUT TODAY! Based on her lyric “when was the last time you and I did something for the first time?” SAARA is also challenging fans to film videos of themselves trying something new with the hashtag #firsttimechallenge. Follow along with SAARA’s posts on her Instagram and Twitter! Chicago Charlie’s Express 2472 N Clark Street,This is sad to see.I stopped by today to mail a package and they were no longer there.Where do you mail a postal package in the area that doesn’t have a high surcharge? When asking around the neighborhood, several people stated Charlie’s wasn’t making any money after paying employees,rent,supplies and insurance.Allegedly The Post Office took all. Bad move by the Postal Service will have people using the UPS Store or small businesses opening a UPS or FedEx Ground account for home or business pick up. Equinox Gifts on Broadway at Roscoe.Another loss for Lake View. This store has great unique gifts.Items are at giveaway prices right now before they close their doors. I guess they too have been having problems with people buying online. The Original Pancake House takes over the former Panera Cares on Diversey near Broadway. The former Waffles Restaurant on Broadway near Addison remains closed years after closing at least 3 years ago as does the former Walmart that was across the street. Doesn't the Alderman's office have any contacts with real estate agents to help get these places rented with new business or sold for development? Development continues on Clark near Addison with the properties the Rickets family has razed for their new hotel and entertainment offerings that surround Wrigley Field. Elias’ series was featured at NYC Mayson Gallery as well as the GRAY AREA Instagram Project, along with the Whitney’s studio party. 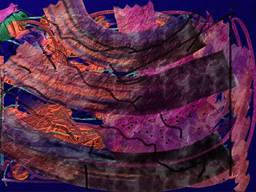 The shift in art trends is being pioneered by Sheila Elias and other big artists are soon to follow. The younger generation has been drawn to the fad due to the fact that millennials are overtaking the digital space and using it in daily life. The most impressive part is that Sheila’s work across the globe including hanging in the Louvre and at NYC Lincoln Center. Sheila Elias is a contemporary artist successful for her multi-media paintings, sculptures and iPad paintings. She doesn’t restrict herself on the tools she’ll use on her paintings -she won’t about reaching for a magic marker or glitter nail polish to use on her canvas. April 21 & 22, at the Chicago Cultural Center, 78 E. Washington St. The Midwest's largest FREE conference for emerging artists and creatives, the LakeFX CreativeCon will feature a keynote addresses by Kevin Liles, co-founder of 300 Entertainment and CEO of KWL Management, in conversation with Kevin Coval, and by comic book writer and artist Alex Ross in conversation with Robert Milazzo. The event offers over 50 interactive workshops and discussion with arts leaders, a brand development presentation by Google and access to one-on-one marketing, legal, financial and career development advice. All events are open to anyone working in (or aspiring to work in) creative fields like music, theater, dance, art and design. Save the date now and visit lakefxchicago.us soon for upcoming announcements and schedule information. Beginner: March 25, 10am, at Avalon Park, 1215 E. 83rd St.
Advanced: April 25, 10am, at Chicago Cultural Center, 78 E. Washington St. This first workshop will offer simple tools, training and tips on how to start a successful outdoor market in Chicago. The later April workshop will cover best practices and operation issues for experienced market operators. More information at chicagofarmersmarkets.us. April 12, 6:30-8:30pm at Salvation Army Harbor Light Center, 825 N. Christiana St.
Join local music industry professionals and working musicians for FREE series of networking events that combine a panel discussion on an industry topic and a showcase performance by several local artists. This Gospel edition of the series will bring together experts from the gospel music industry to talk about the current trends in marketing and public relations for gospel music artists, working musicians and music business owners. Panelists include award-winning singer, songwriter and producer Donald Lawrence; Cathy Carroll, senior director of promotion and strategy at RCA Inspiration; and Dani Jackson, senior integrated producer at Havas Chicago. Known for its artistic creativity, the Chicago Jazz Festival showcases FREE live performances by Chicago's vast jazz talent alongside national and international artists. The event's Art Fair takes place Friday, September 1, through Sunday, September 3, in Millennium Park's Wrigley Square from 11am to 9:30pm. Application and guideline information can be found at chicagojazzfestival.us. The Chicago Film Office is now accepting entries from local filmmakers for the Chicago Made Short Series that screens one independent short film prior to each feature screening of the Millennium Park Summer Film Series, Tuesdays, June 13-August 29. Selected short films will screen once to an audience of 8,000-10,000 and receive a screening fee of $250. Chicago-based filmmakers are invited to submit original, entertaining short films no longer than 8 minutes at chicagofilmoffice.us. 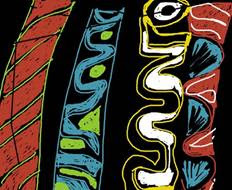 Applications are open for some performance opportunitiesat DCASE festivals and venues. Please check cityofchicago.org/dcase for more information. Is your organization producing a public art project, program or exhibition the summer in honor of the Year of Public Art. Could you use some extra help to get the job done? Apply to host a Public Art Youth Corps intern through Mayor Emanuel's One Summer Chicago Program. Youth Interns may fulfill a variety of duties including administrative support tasks as well as work directly with artists fabricating and installing artwork. If interested, please join us for an informational workshop on March 30 or visit onesummerchicago.org and click the companies/organizations icon. Those looking for a boozy brunch experience can order up a Mimosa (Cava with choice of Orange, Grapefruit or Cranberry Juice,) Bloody Mary or Seasonal Bellini. Non-alcoholic beverages including Coffee, Tea and Fresh Squeezed Orange Juice will also be available. Reservations are recommended and can be made by calling (847) 570-8400 or via OpenTable. Hearth Restaurant & Lounge is located inside The Homestead hotel at 1625 Hinman Ave. in Evanston, IL. For more information or high resolution images please contact Samantha Crafton Public Relations (SCPR) directly. Chef John “Woody” Linton is available for on-air cooking segments upon request. Chef John “Woody” Linton’s eclectic yet cohesive menu draws inspiration from international styles of cooking including Italian, Asian, Czech and French influences. Highlights include Cured Salmon Crostini with Apple, Horseradish Cream & Mustard, Macadamia Mahi Mahi with Baby Bok Choy, Fried Rice, Bacon & Soy-Orange Garlic Ginger Sauce, Saffron Tagliatelle with Butternut Squash, Pomegranate, Sage & Pepita and Svickova made with Beef Tenderloin, Garlic Spaetzle, Wild Mushroom and Sour Cream Dill Sauce. The newly revamped lounge, which was unveiled in 2016, features clean lines, contemporary furniture and décor in muted tones, providing an appealing contrast to the dining room’s decidedly rustic aesthetic. In the lounge, patrons can enjoy one of Beverage Director Ryan Scheler’s craft cocktails or choose from a carefully curated list of wines and beers. The Chicago Department of Cultural Affairs and Special Events is pleased to announce a new program framework and name for Chicago City Markets presented by COUNTRY Financial®–uniting all of the City of Chicago-managed outdoor markets under one program, including Chicago’s longest running farmers market at Daley Plaza, the historic Maxwell Street Market and community markets in neighborhoods across Chicago. Across the city, Chicago City Markets sell fresh seasonal produce, flowers, prepared foods, unique Chicago-made products and, in the case of Maxwell Street Market, rare finds and retail merchandise. The markets will kick off the season on Thursday, May 11, at the Daley Plaza Market and Sunday, May 14, at the Maxwell Street Market. A complete list of city-run markets, along with dates and times are listed below and at chicagofarmersmarkets.us and maxwellstreetmarket.us. The official kick-off of the Chicago City Markets will take place at the Daley Plaza Market on Thursday, May 11, at 11:30 a.m. Among the activities, COUNTRY Financial® will announce the winner of the 10th Annual Reusable Bag Design Contest, and will provide free, reusable bags to market goers. This year’s winning design from a Chicago Public Schools student will be based on the theme “Give, Grow and Be Green” and will be featured on thousands of reusable bags distributed throughout the season. Deadline to submit a design is 4 p.m. CST on Thursday, April 6. Visit the link countryfarmersmarket.com for instructions on how to enter and official contest rules. Maxwell Street Market (800 S. Desplaines St.) offers an eclectic mix of merchandise—from tools to tires, plus fresh produce, furniture, clothing, rare finds and collectibles—and some of the best Mexican and Latin street food in Chicago.. Open year-round on Sundays, 7am–3pm, the Maxwell Street Market will kick off its summer season on Sunday, May 14. Programming details will be announced soon. Visit maxwellstreetmarket.us for more information. U.S Department of Agriculture (USDA). This year, all of the City of Chicago-managed market locations will accept LINK and will distribute double value coupons with every LINK purchase in a partnership with Experimental Station. The City of Chicago-managed markets opening in May are the Daley Plaza Farmers Market at 50 W. Washington St. opening on Thursday, May 11; the Division Street Farmers Market at Division St. and Dearborn Pkwy. opening on Saturday, May 13 and the Federal Plaza Farmers Market at Adams St. and Dearborn Pkwy. opening on Tuesday, May 16. Most community markets open in June. Maxwell Street Market operates year-round on Sundays. For additional information on Chicago City Markets’ downtown and community farmers markets, visit chicagofarmersmarkets.us and join us on Facebook at Chicago Farmers Markets. Vendor applications are available online and the deadline to apply is April 10. A schedule of all independently-run farmers markets happening throughout the city will be available later this spring. For additional information about the historic Maxwell Street Market, visit maxwellstreetmarket.us and follow us on Facebook at Maxwell Street Market. The Chicago City Markets presented by COUNTRY Financial® are produced by the Chicago Department of Cultural Affairs and Special Events and sponsored in part by 93XRT, CBS 2 Chicago, WLS 890 AM & 94.7FM, Chicago Transit Authority (CTA) and the Chicago Tribune. Chicago Ave. & Mayfield Ave.
Dearborn St. & Polk St. I would like to personally invite you to a special cocktail reception for the opening of my MULTIVERSE exhibition AND to introduce you to one of my favorite organizations that is doing incredible work to make in a change in the world. 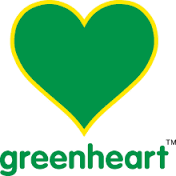 As you some of you may be aware, I have recently become spokesperson for GREENHEART INTERNATIONAL, a Chicago-based nonprofit, supporting a variety of initiatives that connect people and planet to create global change through volunteerism, youth development, cultural exchange, fair trade and travel. This goes hand in hand with my philosophy of living consciously and making every moment count towards bringing issues to light that we can find solutions for if we work together in harmony an understanding. This is a perfect segue to my MULTIVERSE exhibition, which is not only about alternate or parallel universes, but also the various universes we live in our daily lives on our planet earth. I feel very fortunate to have a voice in the artistic community, and look forward to showcasing the contributions of peace-building, tolerance, and love that Greenheart does in our local and global communities. 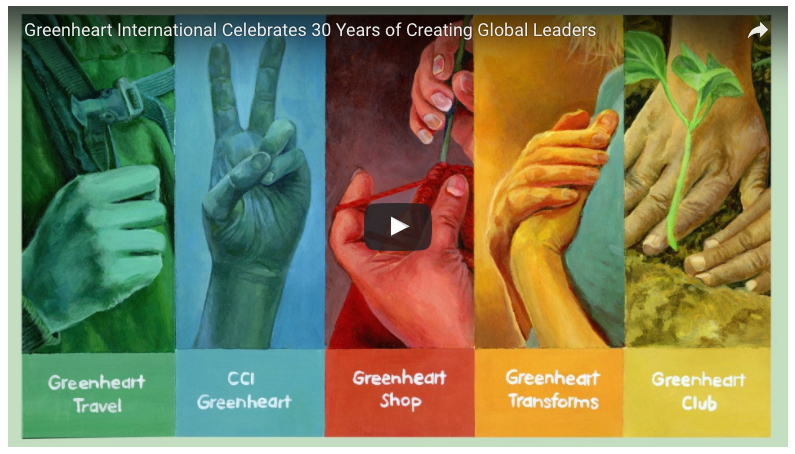 I would like to personally invite you to learn more about Greenheart and founders, Laura Rose and her husband, Emmanuel Kuntzleman, who have dedicated their lives to raising environmental awareness, promoting cultural understanding and advocating for world peace. Greenheart provides educational opportunities and scholarships for children from the inner cities, teaching them to not only care for their environment but work towards transforming the world. They are personally invested in providing cultural immersion programs that change lives, advance careers and create leaders. Greenheart has partnered with some 250 organizations in 97 countries. Please join me for the opening of MULTIVERSE on March 16, from 5:30-8:00 PM. I will be unveiling my latest works featuring my own eco-conscious materials, such as recycled plastic. I will share more about the roles both Greenheart and I are playing in shaping a more peaceful and sustainable world through art and education. Join us for a glass of wine and some of EXQUISITE BITES for what will be an exciting glimpse of how we can make our world a better place not only for ourselves, but our children and their children. I look forward to seeing you on March 16! Native Chicagoan Elaine Barnes brings 20 years plus experience in the hospitality industry working at many notable Chicago restaurants including Narcisse, RL and Prosecco. Over a seven year period, Elaine honed her skills and attention to details staging in several European outlets. In 2015 Elaine earned her Associate's degree in Culinary Arts from Le Cordon Blue. 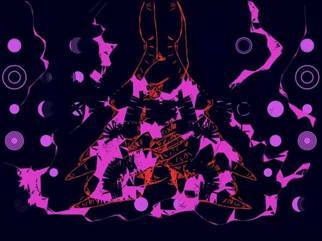 world and they called it a MULTIVERSE." ARICA HILTON, Chicago-based multi-media artist/poet opens her solo exhibition at HILTON ASMUS CONTEMPORARY, 716 N. Wells, located in the River North Arts District in Chicago. The exhibition features a series of oil on canvas and acrylic on acrylic paintings infused with recycled plastic. The theme, MULTIVERSE, comes from Hilton's love of the theories of Quantum Mechanics, String Theory, and Multiverses; and the connection between human beings, the mechanics of the brain and the infinite or parallel universes yet to be discovered. 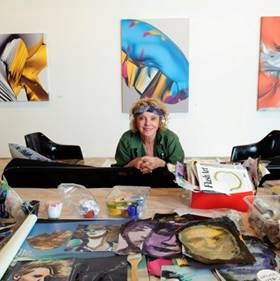 Hilton has created a series of eco-conscious paintings using recycled plastic water bottles infused in her oil and acrylic as a commentary on the effects of discarding plastic without thought to where it will end up. As in the cycle of life, birth and rebirth, the plastic becomes the water in her paintings. Poetry may be the springboard to her works, but Hilton finds the current state of the world a powerful catalyst to create something of value; to society, to individuals, to humanity in sometimes subtle, sometimes highly audible ways. Describing Hilton's paintings, Rose McInerney of WomanScape writes: "We start with a big bang as Hilton takes us deep into the universe, its constellation of stars, and the rich, poetry-filled, pages of history. The art of poet/painter Arica Hilton is as grand in scale as her mythical journey. Arica invites us into her illuminating quest for larger truths about our existence and understanding of self in what can only be called a fantastical tour de force! Her innovative talent for melding past and present is echoed in the weaving strokes of her paintbrush and her creative gift for poetry. Both present a luminescent tapestry of storied history as effortless as cool waters trickling down a verdant hill. In them, we escape to another world. Her paintings illustrate the subtleties of her gift as we slide through soft, easy movements focused on elemental forces like water, earth, wind, and sky images. But don't be deceived by their quiet ability to disarm and penetrate. Much like a beautiful Venus-fly-trap, they force us to look for meaning in these same life forces. This theme, a communion between nature and self, is central to all of Arica's work." Hilton states, "We grew up learning that our world, as we know it, is called a "UniVerse." Uni, defined as "one; having or consisting of one," and VERSE, defined as "a group of lines that form a unit in a poem or song; a stanza" or "each of the short numbered divisions of a chapter...."